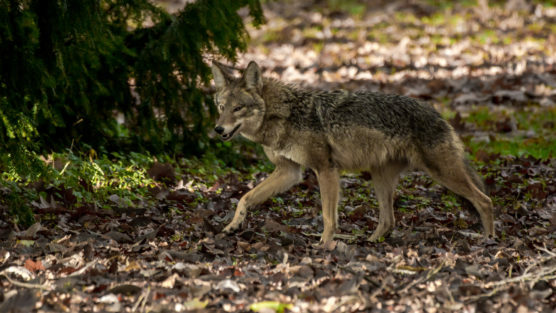 Autumn is the dispersal season for many young coyotes living in Vancouver. As the pups have grown and matured, many of the family groups will start to kick out some of their youngsters. As these young coyotes explore the world searching for new territories within our city, we will often come into contact with them. The best thing to do if you come across a coyote, is to report it to the Stanley Park Ecology Society’s (SPES) Co-Existing with Coyotes program at 604-681-WILD or online at http://stanleyparkecology.ca/conservation/co-existing-with-coyotes/coyote-sighting/. Coyotes are naturally wary of people, hunting and feeding primarily on small rodents at night. 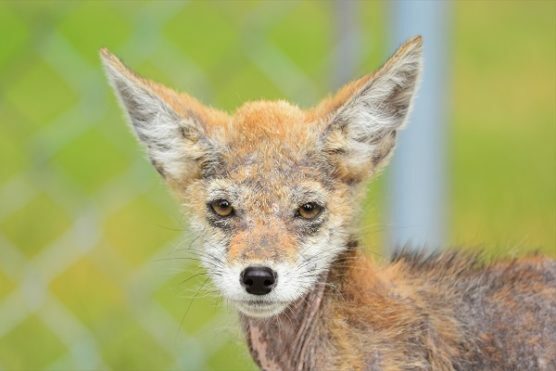 Greg Hart, Urban Wildlife Programs Coordinator for SPES, reminds us that, “Urban coyotes go a long way to try to avoid people by switching to a mainly nocturnal lifestyle.” We can help keep them wild by removing potential food sources from our properties. Things like loose garbage, open compost, wild fruits, pet food and bird seeds can be eaten by coyotes directly or may attract rats and mice—their natural food source. These simple actions help keep people, pets and coyotes safe. For more information or to report a coyote sighting, please call 604-681-WILD or visit www.stanleyparkecology.ca.